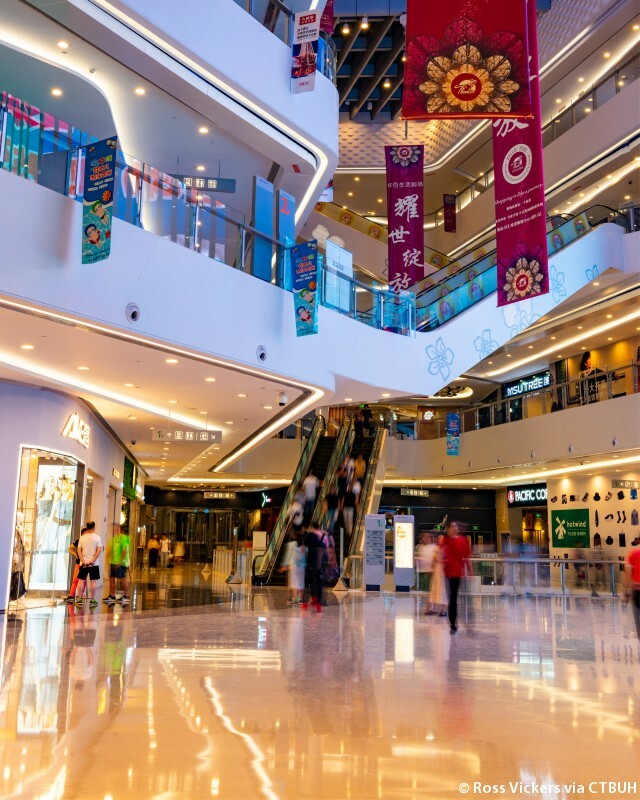 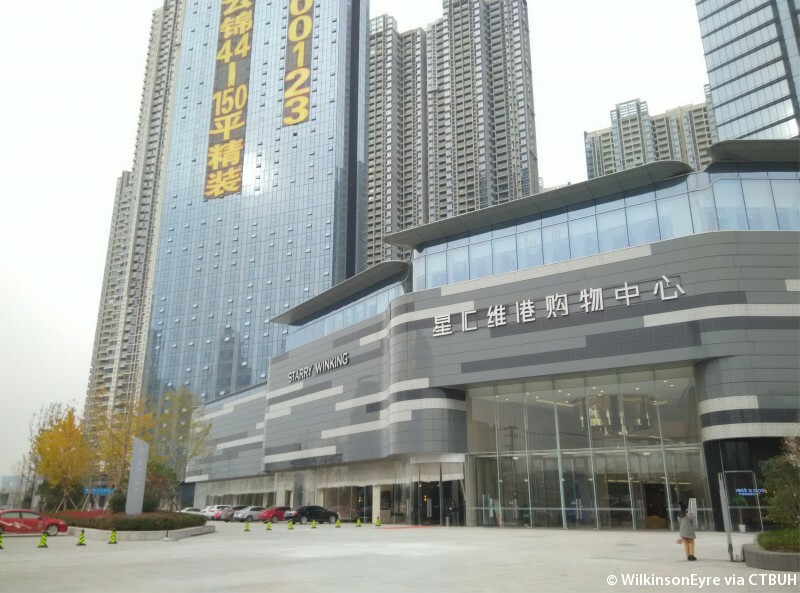 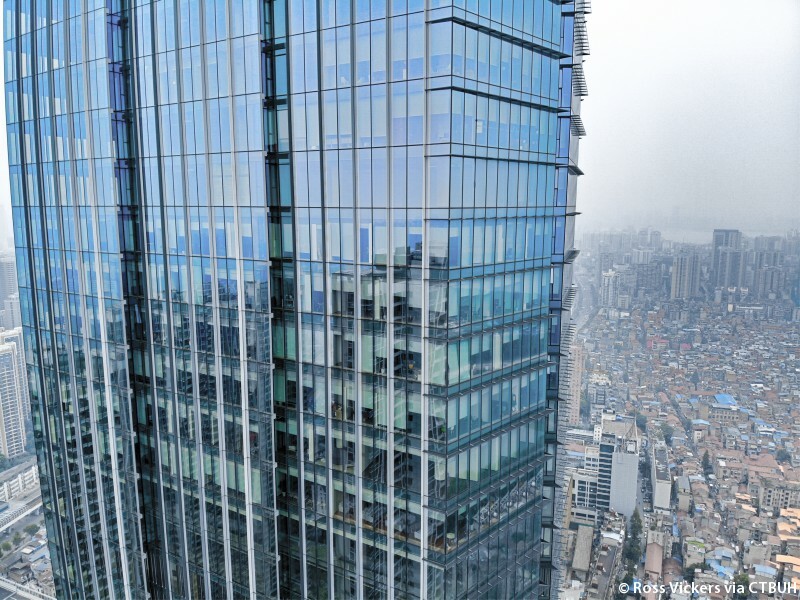 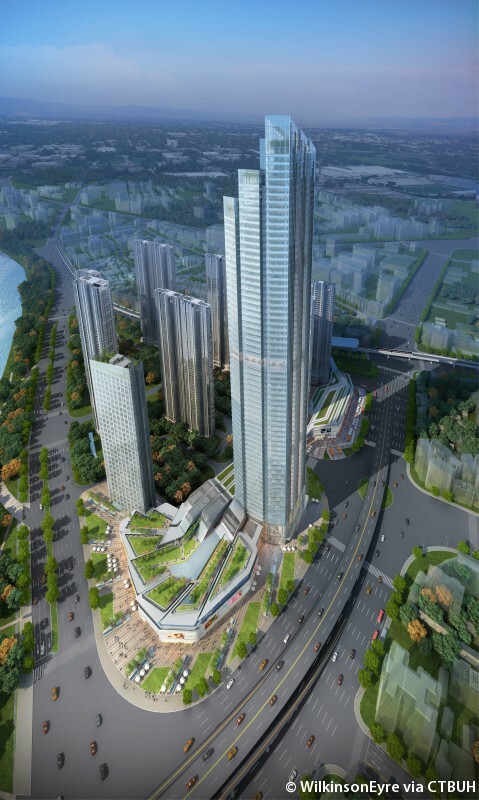 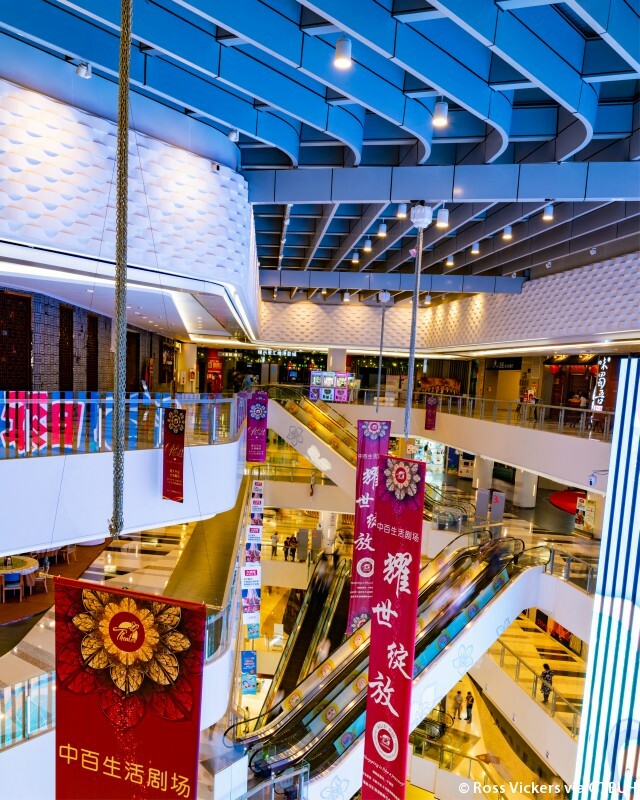 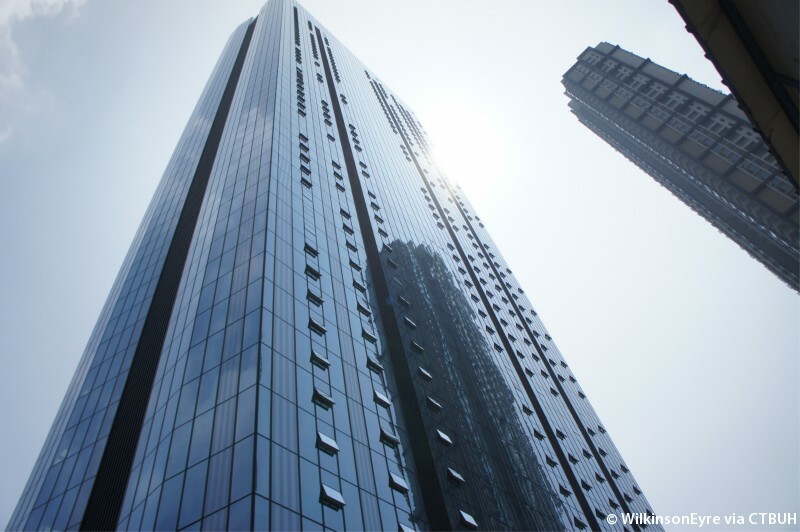 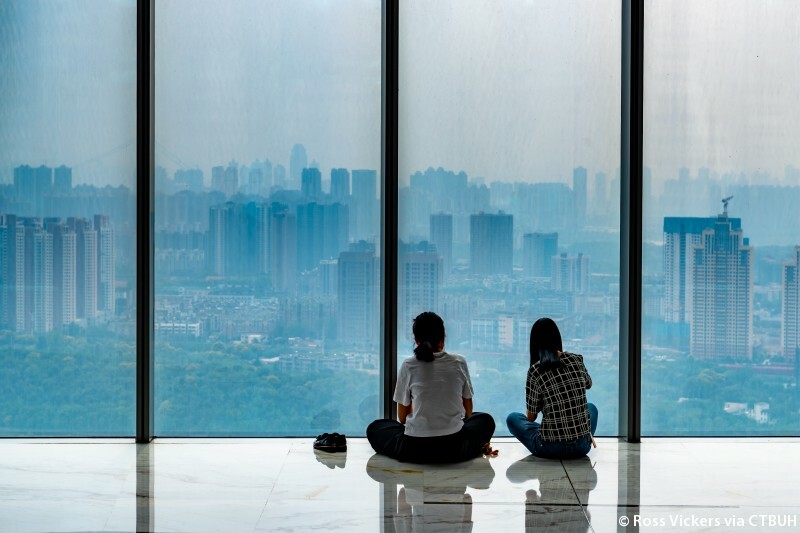 Located next to the Yuehu Bridge, the Yuexiu Fortune Center 1 is the tallest tower of the Wuhun Starry Winking complex, a mixed-use 653,800 square meter development featuring a shopping mall and 8 residential towers. 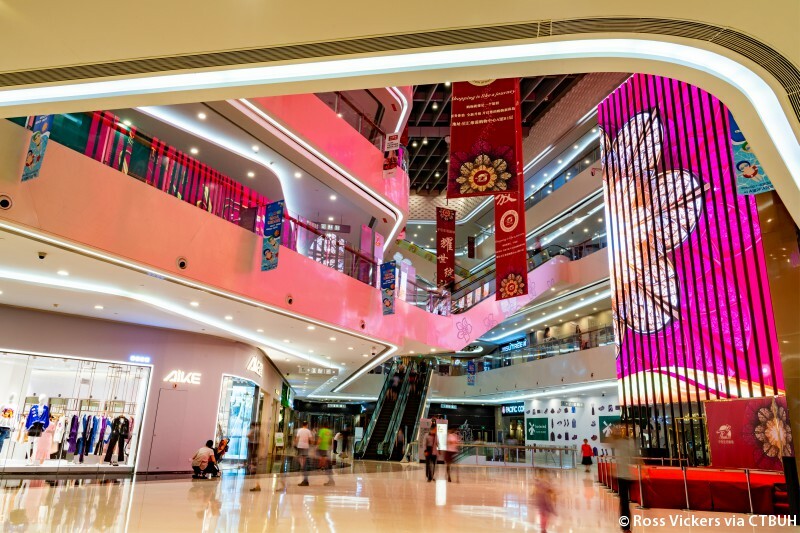 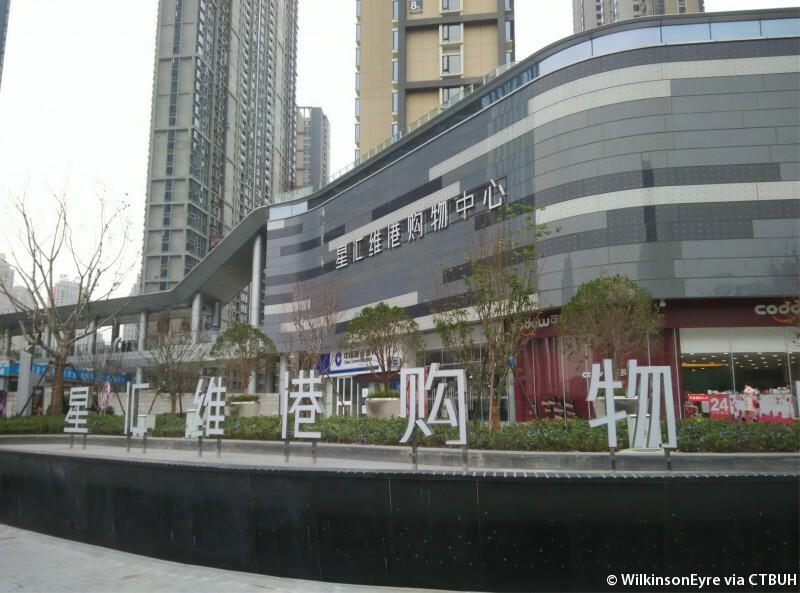 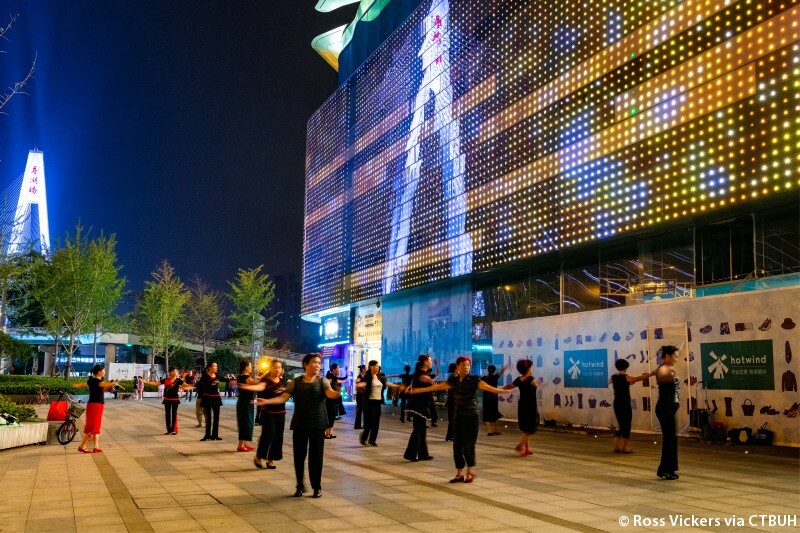 The shopping mall forms a podium linking the development directly to the adjacent Qiaokou Road light rail station. 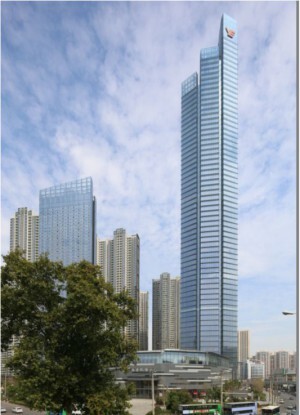 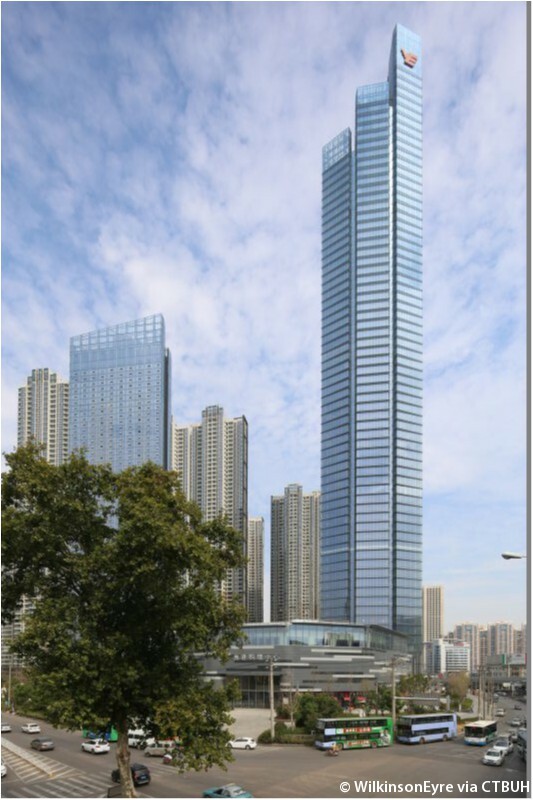 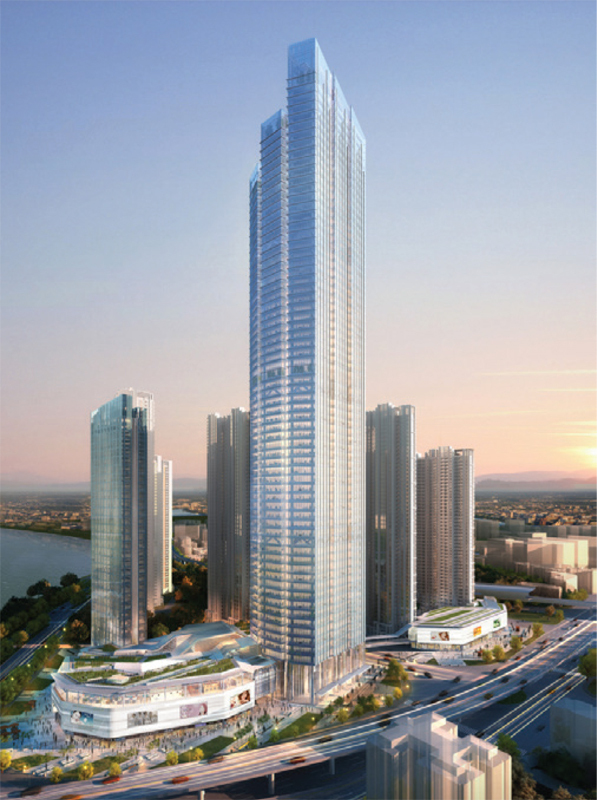 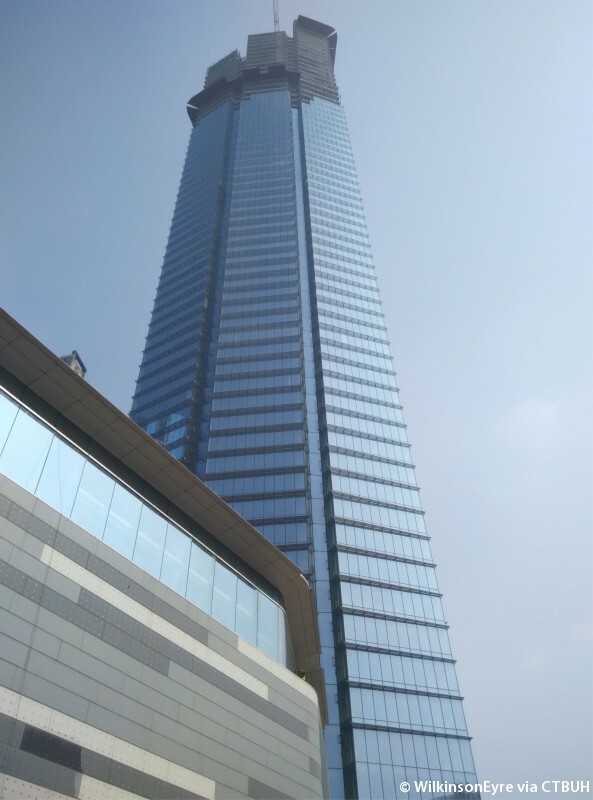 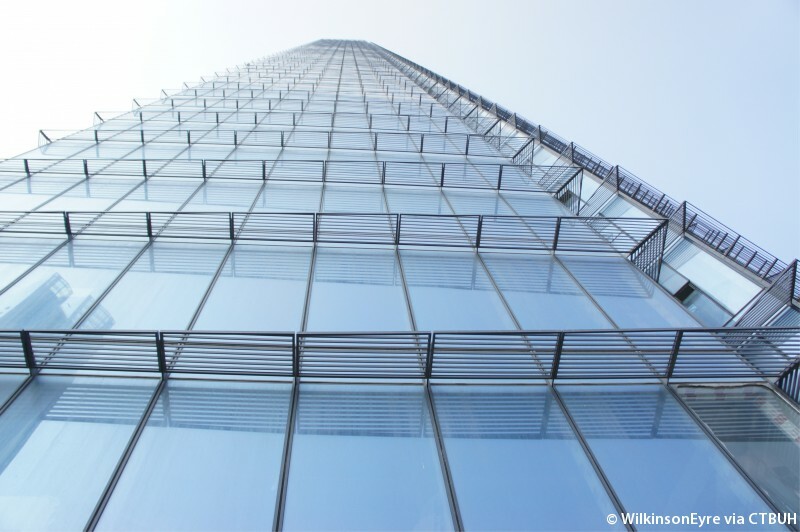 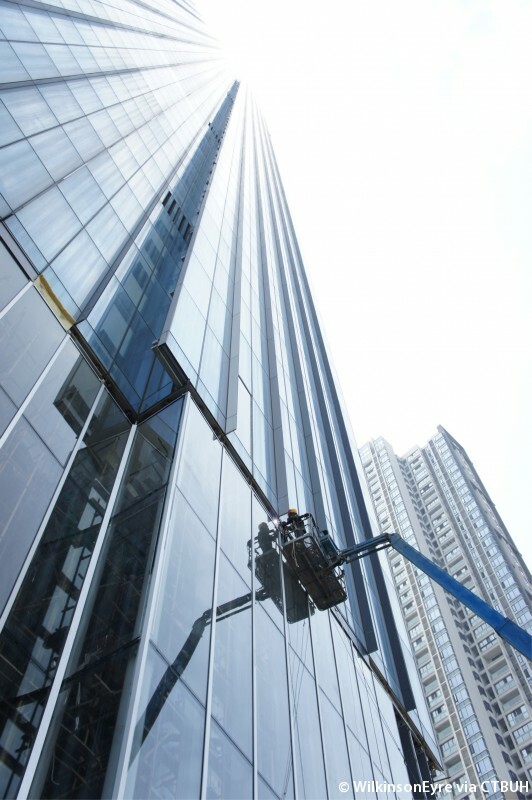 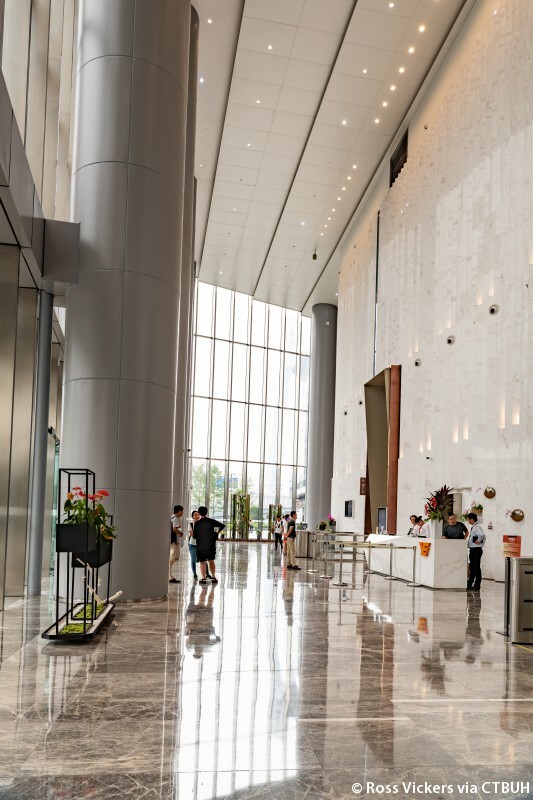 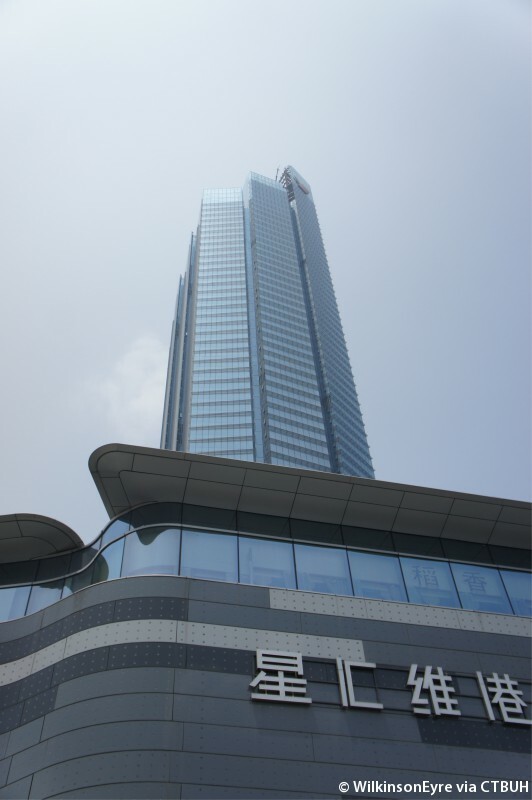 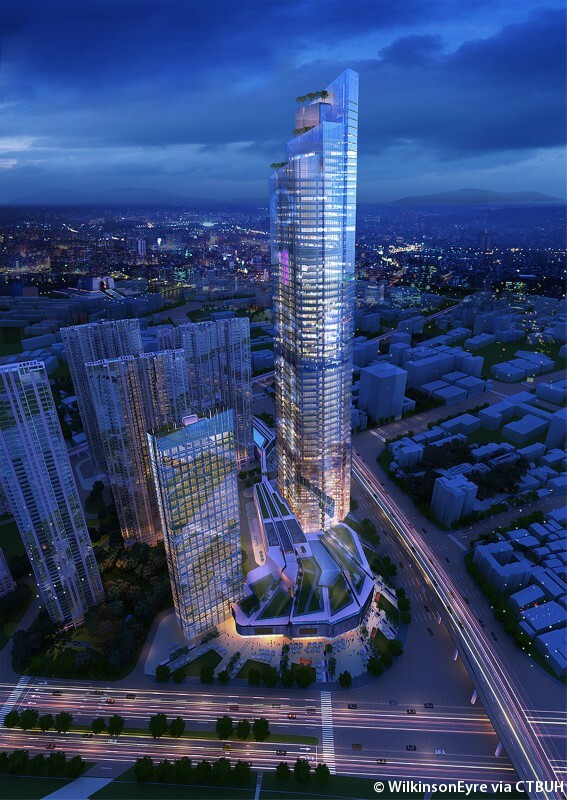 The shopping mall footprint then bends around the backside of Yuexiu Fortune Center 1, allowing the tower to front directly onto the adjacent street with a dramatic tall lobby space creating the main entrance for the 65 story office tower. 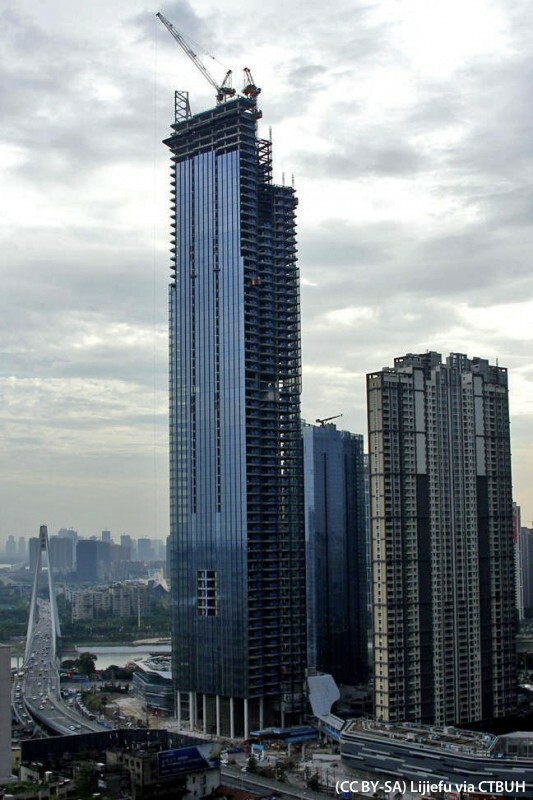 The tower is constructed with a composite frame featuring a concrete core with perimeter columns and floor plates framed with steel. 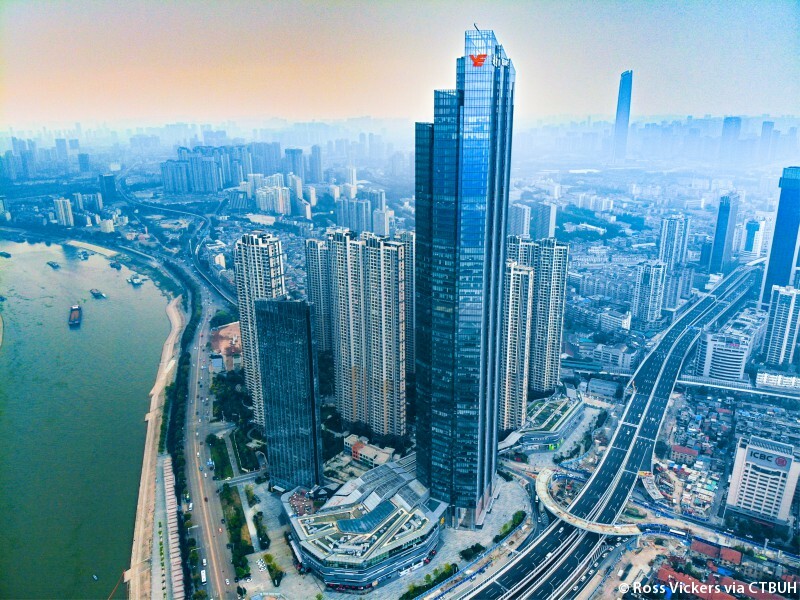 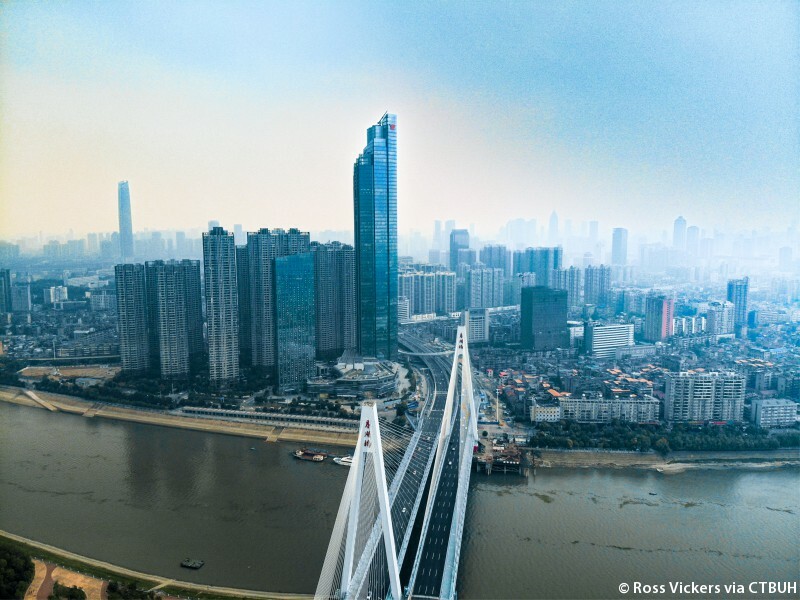 The location is to the west of central Wuhan and was part of the Wuhan Municipal Government’s multi-year plan to develop the Hanshui Riverfront with a landmark building.